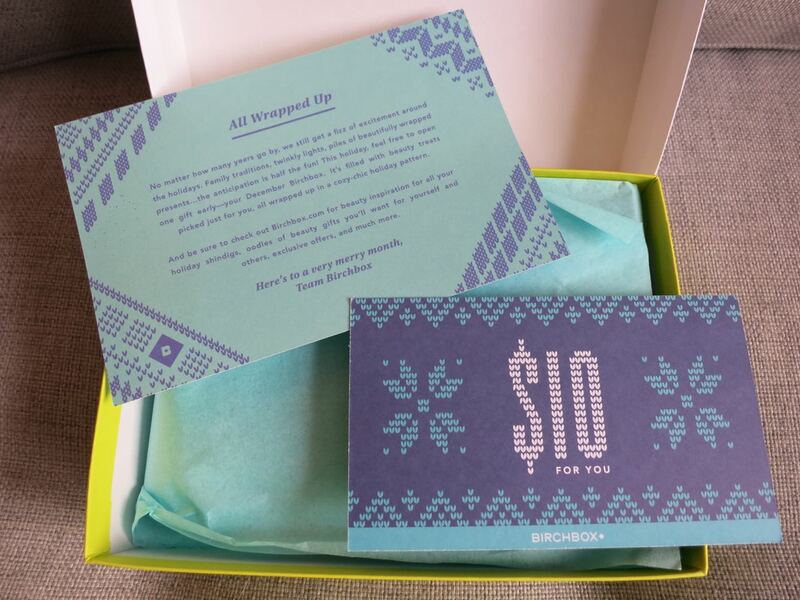 My December box came with a note and a code for $10 off any purchase of $35+ in the Birchbox shop, both designed in a similar “cozy-chic” winter sweater pattern. I appreciate that the design team went with a cool toned winter-y theme as opposed to a full fledged red and green holiday assault. 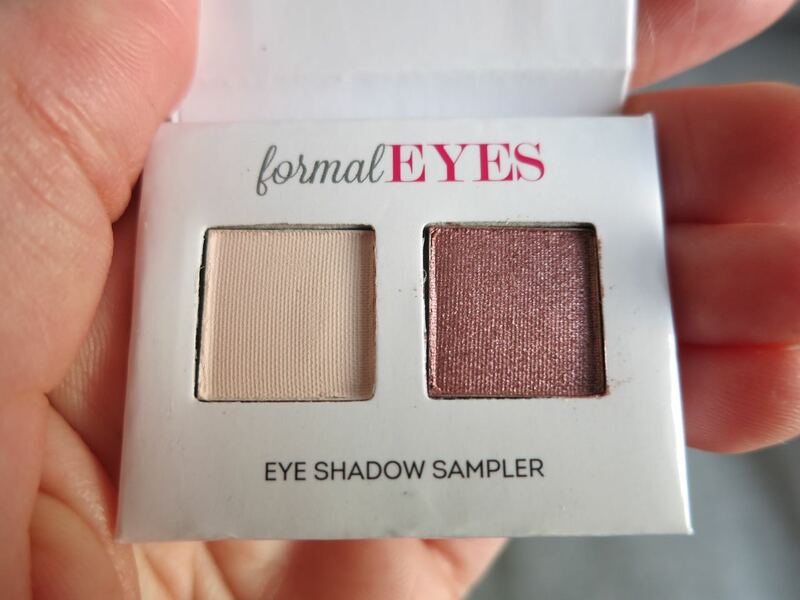 Now, on to my December 2015 sample reveal! Looks like they decided to send me that Serge Normant Dream Big Instant Volumizing Spray anyway, eh? Not that I’m complaining…if my hair needs anything, it’s volume. I had picked the eyeshadow over the hair volumizer because I’m a little over getting hair styling samples in my Birchbox. I’m just SO not a hair styling person…but at least I didn’t get another dry shampoo! And the sample is a very generous 1.8 oz spray can. I haven’t tried this product out just yet, but I’ll give it a shot this evening—I have an event to attend so we’ll see if I can manage a head of volumized hair. My next sample is the Soap & Paper Factory Shea Butter Hand Cream in the Green Tea scent. I’m a sucker for floral graphic design, so the packaging drew me in. The sample tube is small, but there’s still enough product in it to give me a good sense of its efficacy. I’ve mentioned many times how sensitive my skin can be, and I’m currently having some issues with a type of eczema that flares up on my hands when the weather gets chilly and dry, so I’m hesitant to use this cream at the moment. I did test a dab on the back of one of my hands and it smells lovely, so that’s a plus. We’ll see how well my hands tolerate the ingredients in the cream. 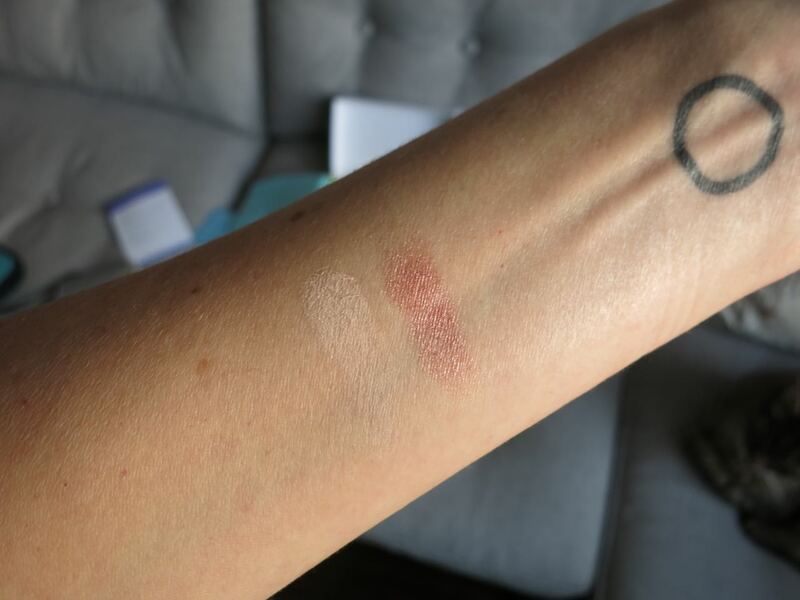 As you can see from the first swatch, the highlighter goes on with a very rose gold tone, but it blends out with a more sheer finish. It’s a little more sparkly than my usual preference, but it’ll be fun to try out when I put my face on for some upcoming holiday parties. The description on Birchbox’s website says that you can mix the cream with body lotion to give your skin a luminous glow. I probably won’t try that out, seeing as how I’m having some skin issues, but I do like the idea. I see that The Beauty Crop has a lip and cheek stain that contains beetroot…I may have to order that at some point and try it out! 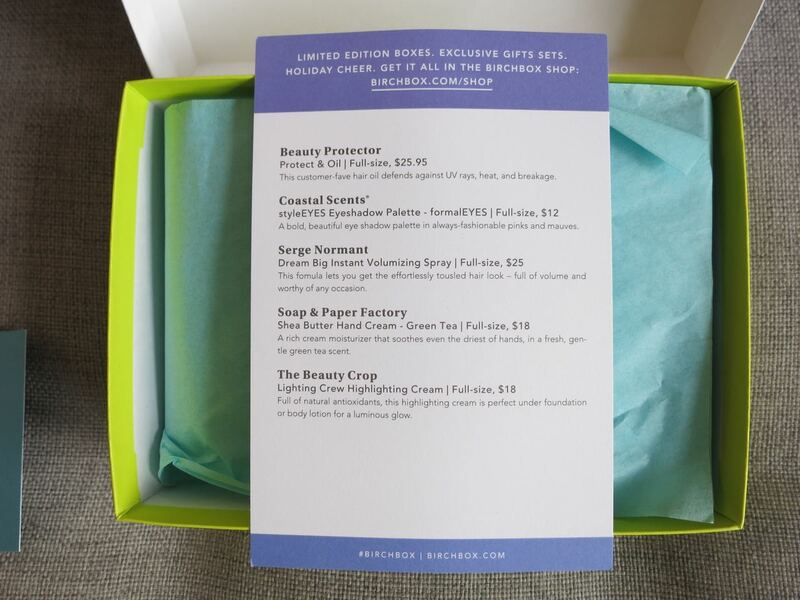 The fourth sample in this month’s box is Beauty Protector Protect & Oil. Hmm…oil for my super baby fine, limp hair? I’m not overly excited about this product, to say the least. The oil is supposed to protect your strands from UV rays, heat, and breakage, which is all fine and dandy, but I hardly ever use heat styling tools on my hair. As we get into winter, though, I will bust out the hair dryer a little more often, so I’ll give this oil a try before blow drying. The instructions on the website say to apply one to three drops of oil from roots to ends, but I won’t go anywhere near my roots with this stuff; I’ll just stick to the ends. One last thought I have about the oil is that I don’t really like the scent; it smells just like the protect and detangle spray from the brand that came in my August Birchbox, and it’s too powdery for my taste. That’s just a matter of opinion, though. I have to say, I’m feeling neutral about my samples this month. They all seem fine, but there’s nothing I’m overly excited about. 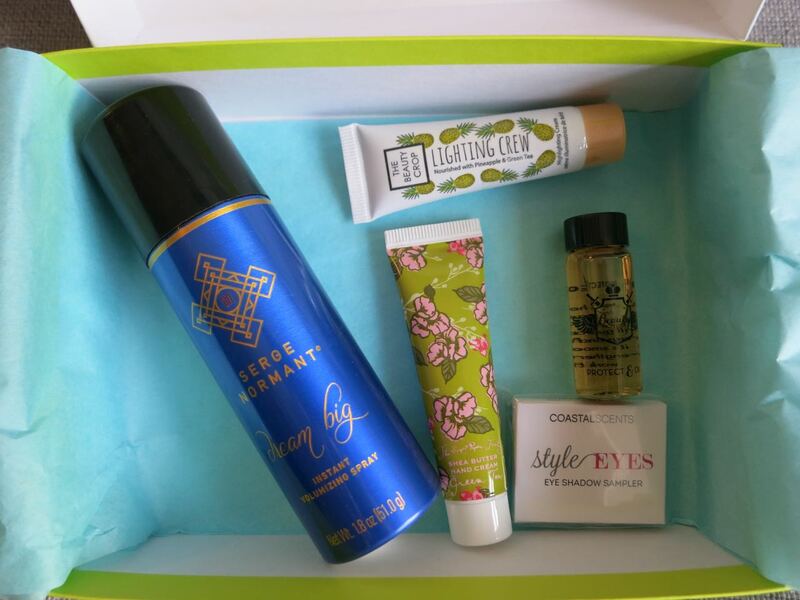 I think I’m starting to get Birchbox fatigue-slash-sample oversaturation. I’m still working my way through many samples from past boxes, so it might be time for me to cancel my subscription soon. I know I’ve talked about doing so in past reviews, but I’m considering it more seriously now. 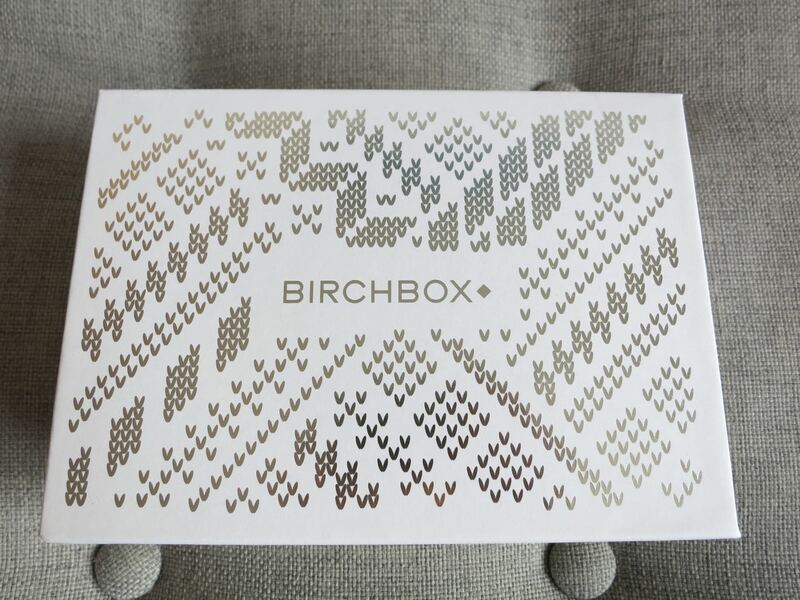 It’s not that I don’t like Birchbox—it’s been a whole lot of fun!—but I think I might need a little break. We will see what I end up deciding. That hand cream is so adorable! I hope I get it as a sample myself sometime. Yes! It’s so cute. I hope you get it!